Do you ever buy ugly, misshapen or damaged fruits and vegetables? Many people do. Grocery chains such as Walmart and Whole Foods have experimented with selling damaged fruits and vegetables at a discount. This is produce that would otherwise go into trash cans or city landfills. Grocery stores annually throw out more than six million pounds of damaged or spoiled produce. That’s because most consumers prefer their food to be perfect. To reduce waste and save money, Walmart and Whole Foods started offering consumers discounted ugly produce in 2016. However, “the two chains and others quietly ended their tests, suggesting dented apples and undersized potatoes may not be all that appealing in stores where better looking fruits and vegetables are on display,” according to the Toronto Globe and Mail. How Did the Ugly Produce Trend Start? This reverse logistics effort started in 2014 with a European company called Intermarché. The company sold ugly fruit, vegetables and cookies. These products were popular among consumers who were willing to sacrifice appearance for reduced prices. This reverse logistic effort was a big hit in Europe; National Public Radio called it the “return of unsightly fruit.” But statistics cited by NPR indicate that farmers are the ones who really suffer. They have to toss out up to 40% of their crops that are not as perfect as grocery stores and customers demand. If you shop at a local farmer’s market or specialty food store — or query a grocer about a certain product’s appearance, taste or shape — you are exercising your right to purchase what you want. So, if you are picky about the produce you purchase, you are now part of a growing trend. However, there are some really unusual dishes served in restaurants around the world that might cause you to put your fork down. One such entrée is stargazy pie, which, according to The New York Times, involves small herring arranged with their heads and tails sticking out of the pie. Some people might be put off by that, but stargazy pie is considered delicious, especially in the English coastal village of Mousehole in Cornwall. 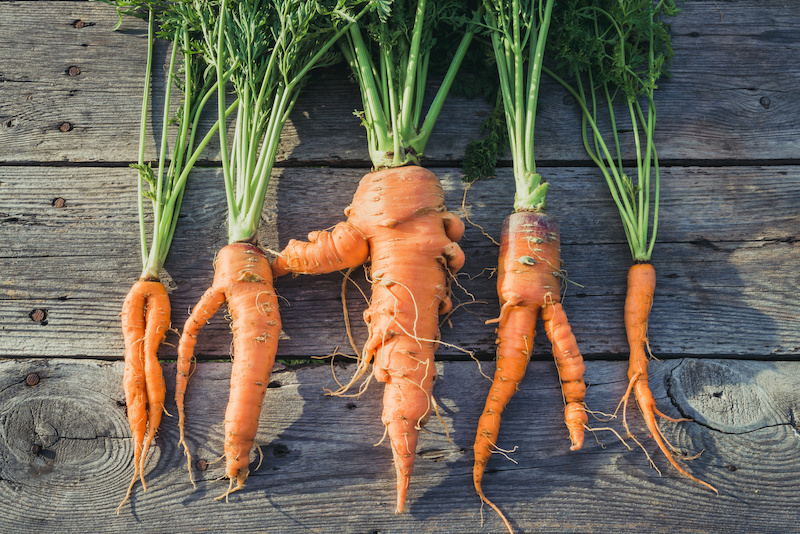 Ugly produce and other foods have their place in the supply chain. Farmers sell their ugly produce to manufacturers who store their purchases in huge containers. These containers are then transported by trucks, trains and ships to factories where the produce is made into pies, cakes, cookies and bags of frozen chopped vegetables. A food producer has many supply chains. In the U.S., for example, our produce goes to local food manufacturers and bakeries. But a significant amount of other ingredients comes from sources outside the U.S.
For instance, sugar comes from sugarcane grown in Bolivia, Brazil, India, Thailand, the U.S., Pakistan, Mexico, Russia, Australia and many other countries. Similarly, vanilla comes from several sources, too. But about 80% comes from the vanilla orchid plant in the island nation of Madagascar. The food supply chain has its own set of problems, including contaminated food and plastic containers that harm wildlife and create environmental hazards. The U.S. government is aware of this ugly side of our food supply chain. A 2019 report from the Centers for Disease Control and Prevention (CDC) estimates that 48 million people in the United States annually become ill from contaminated food. When you purchase produce – ugly or not – from your local farmer or grocer, you are helping your family lead a healthier life. Buying local also helps the overall food supply chain by reducing potential contamination and decreasing pollution from transportation.